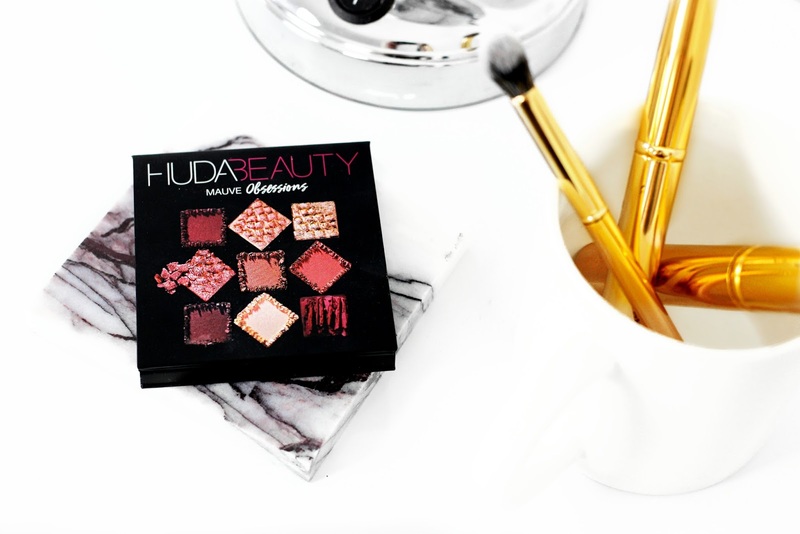 HUDA BEAUTY is a makeup brand I've been dying to try because there has been so much hype about the products over the past year. I was so tempted to get her Desert Dusk palette because the shades look absolutely stunning, but I resisted when I seen that she was releasing 4 mini eyeshadow palettes. The newly released collection is called 'Obsessions' and houses 4 mini size eyeshadow palettes: Smokey, Warm Brown, Electric and Mauve. Each palette has 9 shades with matte and foil finishes and are colour specific, e.g. 'Electric' has all vibrant shades and 'Warm Brown' is packed with rich burgundy red and brown shades. Of the four new palette the one I was most excited to get my hands on was 'Mauve'. 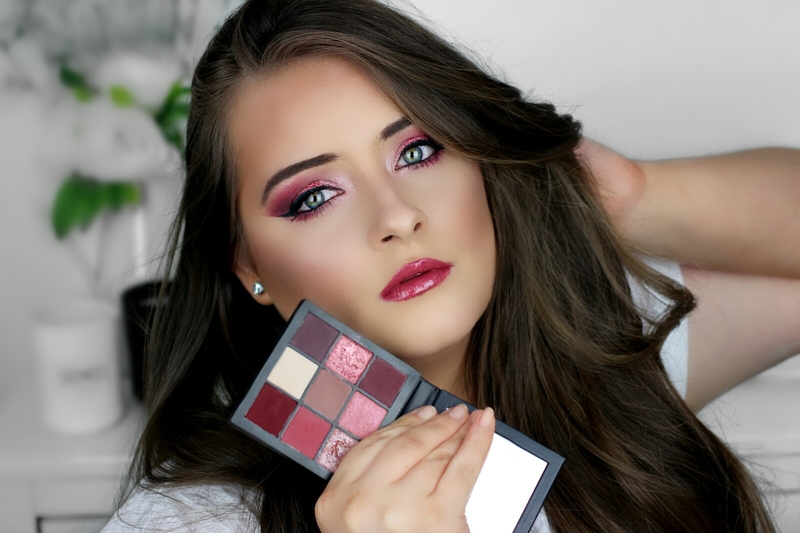 HUDA BEAUTY Mauve Obsessions palette has a mix of rosy mauve, cranberry and plum shades. 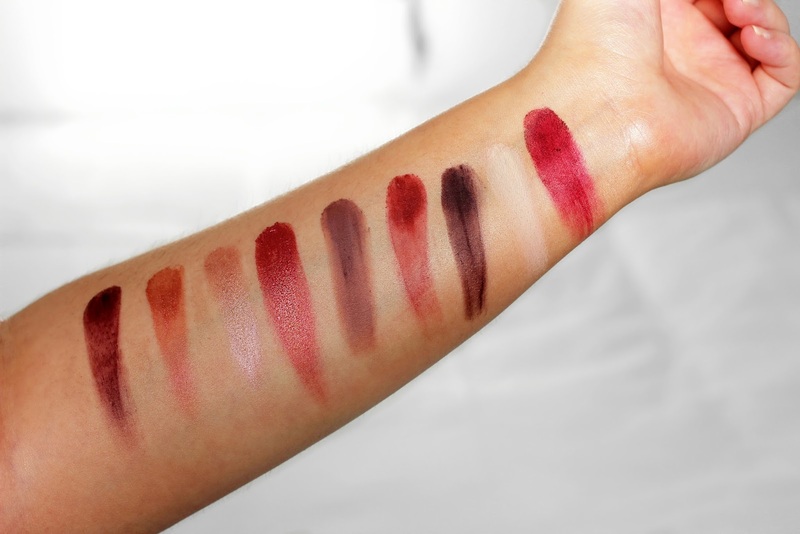 I love the shade selection because these really bring out my eyes and are my go-to shades (besides warm browns) in the Autumn and Winter months. 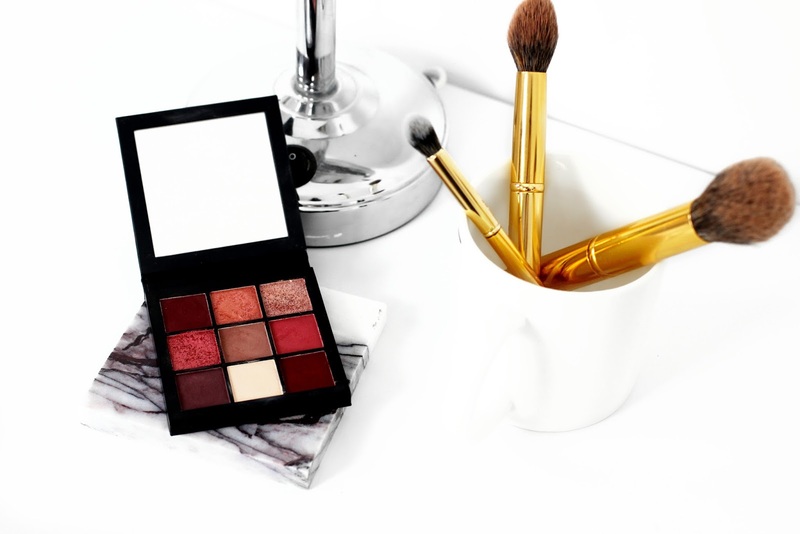 The palette of-course is quite small but it's the perfect handbag and travel size. It is actually very sturdy and has a generous size mirror inside. It houses 9 beautiful eye shades (3 foil and 6 matte) which are very buttery and very easy to blend. The only downside is that you have to use your finger to apply the foil shadows because the pigment doesn't stand out as much with a brush. So it is suggested to use your finger or a wet brush (use MAC fix+) to intensify the shade. But like all HUDA BEAUTY palettes, that's just her thing. Nevertheless, when applied with you finger it really enhances the pigment and makes them look super foiled and appear more metallic. 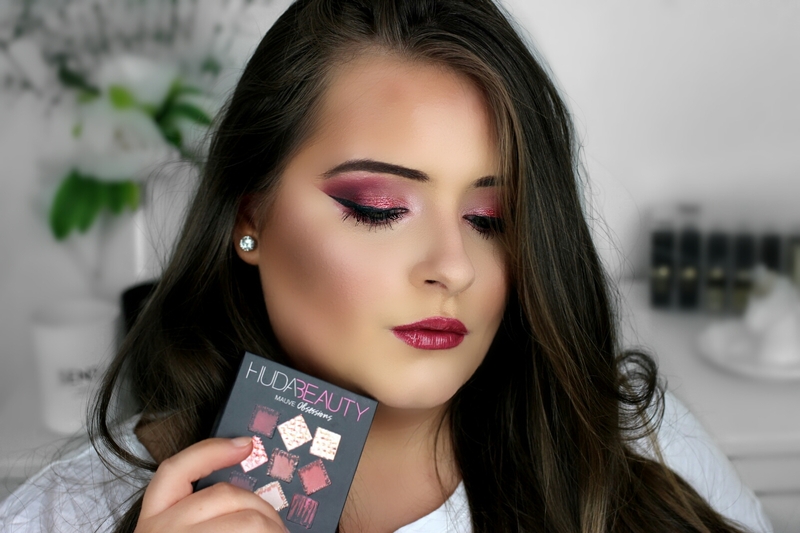 This HUDA BEAUTY Obsessions palette is super cute and if you love mauve, cranberry and plum-y shade then you will love this!